January 16, 2019 5:12 pm. 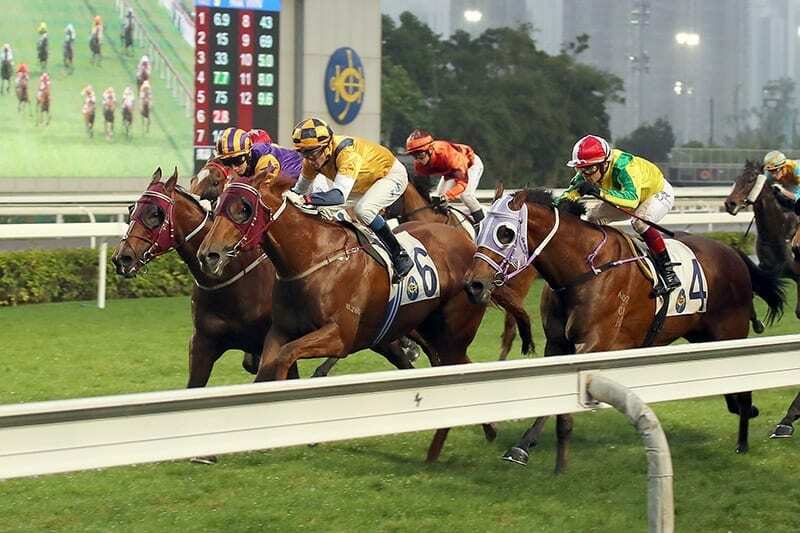 Styling City will plunge into the depths of Hong Kong’s Group 1 sprint pool on Sunday when he takes on the big three of Mr Stunning, D B Pin and Beat The Clock in the Centenary Sprint Cup (1200m). The exciting rising star is the lowest rated horse in the field, nine points below the next in the list, Born In China, and 19 points inferior to the top-rated Mr Stunning – winner of the last two editions of the Group 1 Hong Kong Sprint (1200m) – on international ratings. But trainer John Moore still anticipates a big run from his talented three-year-old, who does at least get some relief under the contest’s conditions. “It’s a weight-for-age race so he has seven pounds up his sleeve that the rest have to concede to him. As I’m throwing him in at the deep end, that relief in the weights is important,” he said. Styling City has won five of his eight career starts but was only second under Douglas Whyte last time behind shock 90/1 winner Jolly Banner in the Group 3 Bauhinia Sprint Trophy Handicap. That came down the 1000m straight, though, and Moore believes his Starspangledbanner gelding now needs an extra 200m. “His run the other day was good; he hit the line strongly after being one-paced at about 300 metres out,” he said. “He’s looking like he wants the 1200. Last time I was watching thinking he was going to drop out of the race and then suddenly Dougie’s given him a smack and he’s run on. Moore is using the weekend’s big race – the first leg of the Hong Kong Speed Series – as a sight-setter, with his charge still in the process of maturing into a finished athlete. “There’s a lot of upside to come and in this race the expectation is not high because we know we’ve got a lot to do at the ratings to some extent. But you look at the programme, with his rating, and the options aren’t there so we’ve opted for this and then we can give him a break,” he said. The field also includes the G1-placed Fifty Fifty; last month’s Hong Kong Sprint fourth Little Giant; and the smart Winner’s Way. Sunday also features the champion miler Beauty Generation in action in the G1 Stewards’ Cup (1600m). The Hong Kong Speed Series continues in February with the G1 Queen’s Silver Jubilee Cup (1400m) and concludes on FWD Champions Day at the end of April with the G1 Chairman’s Sprint Prize (1200m).